There is a contraction in the professional video market because the difference between high-end video equipment and the consumer level is very little today. Sony refreshes products frequently to stimulate the market, but continues support for a long time and sells old models for many years, unlike competitors. Sony doesn’t see compact cameras or entry level ILC going away due to cellphones. Sony is doing R&D into a variety of new image processing techniques like L16. Still not the right moment for them to enter medium format even thought hey could easily. Their priority is to meet the demands of professionals. Sony doesn’t do big firmware update because they believe the camera should be maximized when shipped. Curved sensors are better for fixed focal length lenses and do not work well with zooms. Can’t say anything about their multilayered sensors yet. Sony made full frame lens development their priority and will now get back to APS-C, which might include a 100-400mm equivalent like the recently released full frame lens. Sony’s biggest optical is making brighter glass for professionals. There will be no full frame camera without an EVF. 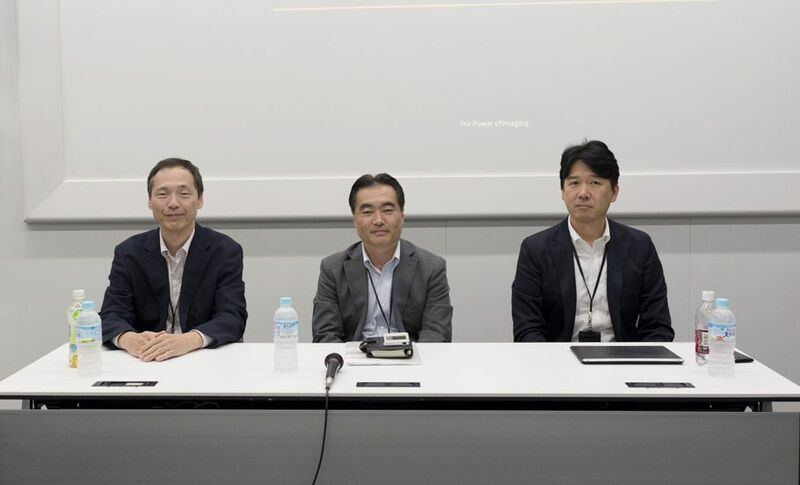 You can read the full interview here, but it is interesting to note that Sony shares clear plans for E-mount full frame and APS-C, but not A-mount. Sony’s continued statements about A-mount not being dead seem like marketing over reality without something more solid. I think A-mount fans would feel more secure in making future purchases if Sony came out and said we see gaps in A-mount here, here, and here for lenses like they do on their other systems.